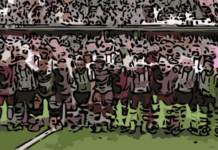 The physical demands of professional footballers in today’s era are higher than ever with the ever-increasing intensity, speed and power in which the game is played at. Footballing legend Johan Cruyff famously said ‘You play football with your head, and your legs are there to help you’. Unfortunately for one Czech majestic midfielder, his legs could not match the footballing brain he possessed often enough, meaning a career fleeted with recurring injuries. A competitor and fan favourite at every club he played at, Tomas Rosicky is certainly one of the most respected yet one of the most unlucky footballers in recent history. Born in the sovereign state of Czechoslovakia, Rosicky grew up in the communist capital of Prague. Inherited into a footballing family, Tomas’ father Jiri had played for Sparta Prague during the 70s. His older brother, also named Jiri, was training with the Czech giants when Tomas joined the youth team aged eight. The talent from such a young age was commanding the attention of the national team, coaches and senior players alike. The assistant coach at the time Vitezslav Lavicka believed Rosicky’s strong personality helped him to deal with making domestic and continental debuts at such a young age. After making his league debut just aged 17 with Sparta clinching the title, Rosicky was about to make his Champions League debut the following season aged 18. He featured in all 12 Champions League games during 99/00, netting twice whilst contributing five league goals to earn his second Czech title in the new millennium. On top of that, the attacking midfielder was rewarded with his first senior caps during the season in international friendlies against Republic of Ireland and Australia. Goals against Shakhtar Donetsk and Arsenal in the following season’s Champions League elevated interest in the technical talent’s signature. During the winter transfer window of 2001, Rosicky signed for Borussia Dortmund on a five-year deal, setting Die Borussen back over €10m. 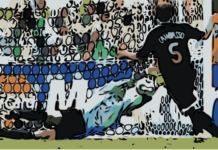 An astounding figure to break Bundesliga records, the Czech wonder kid was able to shine in his first full season under Matthias Sammer, winning the Bundesliga title and reaching the final of the UEFA Cup. Alongside countryman Jan Koller, Rosicky was a key player in Dortmund’s success, contributing six goals and 18 assists in all competitions. The following two seasons, however, were difficult, with Dortmund finishing a disappointing 3rd then 6th in the Bundesliga. Rosicky was started to suffer regular muscle injuries and spoke out about needing a new challenge after Euro 2004. 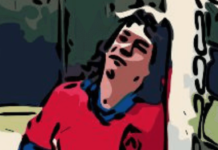 A move away didn’t succumb and Little Mozart, the name given to the midfielder orchestrater, played out his final two seasons at the club finishing 7th. Spanish side Atletico Madrid came calling but a breakdown in the deal meant Arsene Wenger and Arsenal swooped in with an £8m bid. June 2006 saw Rosicky sign for the club he had appreciated the style of play of and had gone full circle after admitting he read Nick Hornby’s famous Fever Pitch as a kid. The pressure was on to replace the likes of Robert Pires and Dennis Bergkamp who left the club, but the Czech showed his class at the 2006 World Cup, netted twice against the USA. In the new-era of the club, Arsenal managed 4th place and a League Cup Final as Rosicky contributed six goals and four assists in his debut season in England. This included a sensational brace against Liverpool and a late headed winner against Wigan Athletic. After suffering groin, hamstring and thigh injuries, Rosicky suffered his worst injury yet, a career impacting hamstring injury half way through his second season with the club. Just as he was hitting a purple patch of scoring goals, he suffered a tendon injury in an FA Cup game against Newcastle United in January 2008 which kept him out for 14 months. At a peak age of 27, he missed the entirety of the 2008/09 season. The one thing he didn’t want to happen happened when thigh problems put him out for six weeks in August 2009 soon after his long layoff. The returning seasons from 2009-11 saw Rosicky manage four goals and 10 assists across all competitions as he was in and out of the side. Despite this, his sealed a legacy with The Gunners in the latter stages of his time with Arsenal. This was due to the Czech technician’s contributions to victories in the North London Derby over Tottenham Hotspur. Firstly, Rosicky scored with a beautiful dink over Brad Friedel in a 5-2 victory for the red side of North London. He then scored in Arsenal’s FA Cup Third Round win over Spurs during 2013/14 after picking off the last defender to race clear from the halfway line, out-muscling Kyle Walker and then cooly chipping over Hugo Lloris. If he had not sealed his strong connection with Gunners fans by then, he certainly did after scoring an outrageous goal months later at White Hart Lane so early in the game to win 1-0. What added to the quality and the occasion of the goal was the scream of the Little Mozart’s name from Martin Tyler’s commentary box. After driving down the right wing, Rosicky played a one-two pass with Alex Oxlade-Chamberlain whose poor return pass/touch provided an opportunity to unleash. Moments like that will be talked about for many years to come and that goal defined everything about Rosicky’s style of play, being aggressive, direct and precise. Just a month earlier, Rosicky was the instigator and finisher in one of the purest and beautiful Arsenal moves in their home game against Sunderland. Similar to that stunning team goal Jack Wilshere scored against Norwich City, Rosicky played off Olivier Giroud’s perfectly-weighted dink through pass after a strong build-up play to trademark chip the goalkeeper Vito Mannone. Those goals were to be some of the final goals he would score in an Arsenal shirt when more injury problems persuaded him to move back to Sparta Prague in 2016. But once again all his hard work to get fully fit was put to waste when he suffered a season-ending injury coming off the bench to make his return to Sparta 17 years after leaving his hometown club. Not wanting to let his career peter out in sadness and misery from the sidelines, the attacking midfielder, who turned 37 last October, gave it another go, and was rewarded on his full debut with his club. A goal in a 2-0 win over MFK Karvina, then captaining the side against Banik Ostrava before playing his final professional football match against Mlada Boleslav and winning 3-0. Announcing retirement at the end of 2017, the metalhead fan with the recognisable rock sign hand gestures after scoring, said his body could not do the magic things he wanted it to do. Because of this, and for being majorly injury-prone for most of his career, he will be seen by most as a ‘what-if’ but a legend and hero regardless by few. 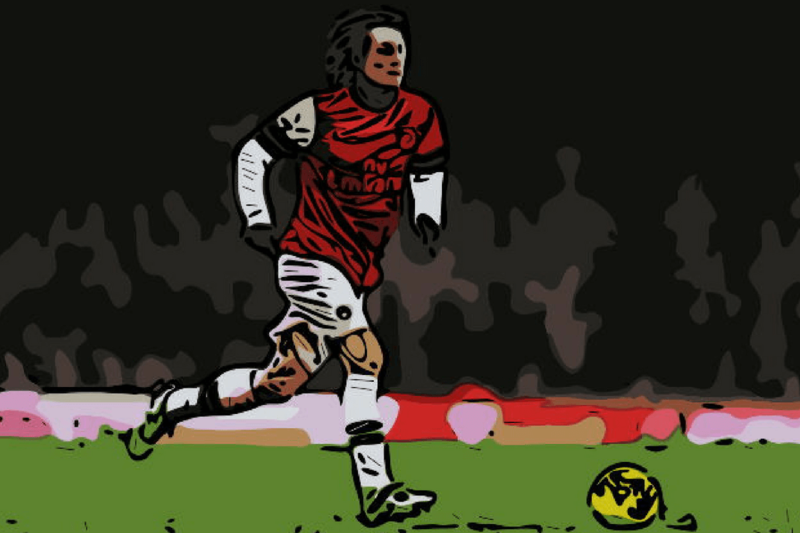 How will you remember the orchestrative, metalhead attacking midfielder Tomas Rosicky?